The function of a flow control valve is to regulate flow at a constant rate – regardless of inlet water pressure. This can be especially challenging to accomplish at very low operating pressures within a network. This article explores how despite these difficult conditions, the Bermad Model 718 Control Valve is ideal for these types of applications. The Bermad 718 Flow Control Valve is an electrically operated control valve manufactured to the highest of Australian standards. Its design features solenoids that control water flow to and from the control chamber – making the valve modulate to a consistent flow rate. Typically, a small PLC reads a flow meter and the controller pulses the solenoids until the valve reaches the predetermined set point. One of the key reasons this valve is so successful in lower pressures, is the double chambered design of the valve’s main body. The double chamber has no internal spring – with two distinct control chambers remote from the water source. Ability to operate with minimal head loss from pressures as low as 3m. Ability to modulate regardless of differential valve pressure. Ability to regulate in a linear manner without inducing water hammer during closure. Ability for the valve to have control solenoids fitted to the top, and if required, to lower chambers of the valves. Ability to immediately respond to a solenoid change, which reduces pulse lengths and power draw on the solenoids. The following video shows the Bermad double chambered design operating with pressures as low as 4m, both opening and closing with real positivity. 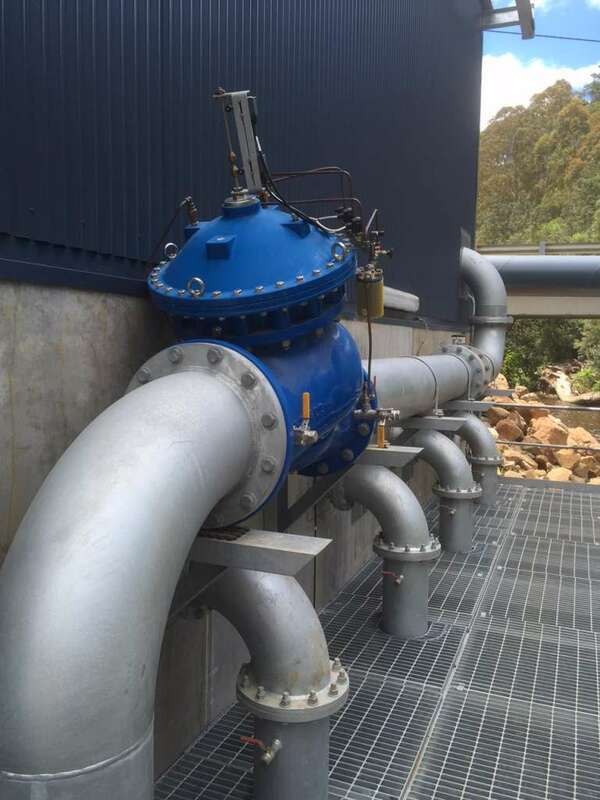 For more technical instructions for valve installation, additional information on the The Bermad 718 Flow Control Valve, or any other associated Bermad product, please visit www.bermad.com.au, or contact your nearest sales officer for further advice on best-practice installation.